Welcome to BicycleXP. You are reading this post means you have either taken up cycling recently or planning to take it up soon. Both these scenarios are great! It does not matter why you are taking this up. Either as a hobby or a fitness regime. Either way, do read this post for some important cycling tips for beginners. It is really important for you to get a bicycle which is right for you in terms of the frame size. Most online shops will clearly state the ideal rider height. 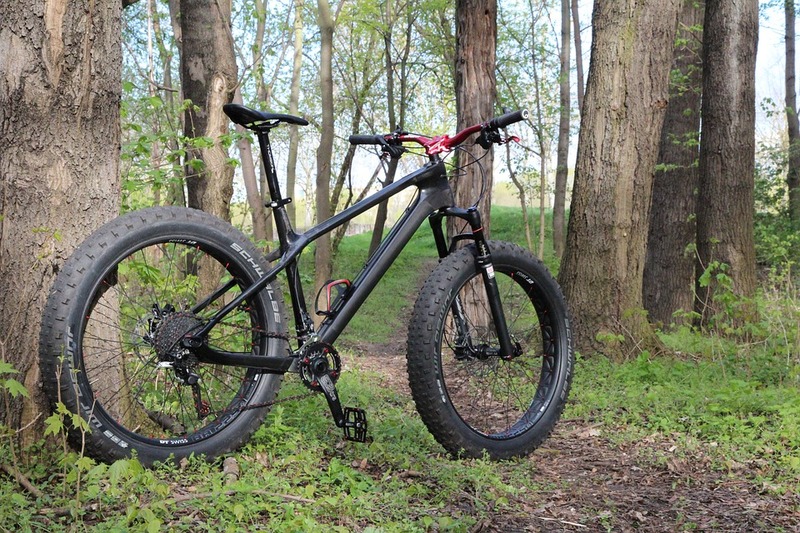 You will also find a lot of size charts online which will help you select the right bicycle frame size for your height. Also, spend some time reading about types of bicycles and their usage. This will help you decide the right one for yourself. Having the right posture from the day will ensure you enjoy your rides. More importantly, you do not injure yourself while riding your bicycle. There are two important aspects to this. The bicycle handle should be roughly in line with your saddle height. However, feel free to adjust it a little higher or lower basis your comfort. Saddle height is where most people go wrong. It is difficult to explain the process of setting the right height in a blog post. The video below you able to help you understand the concept better. This is the fun bit. I am frequently guilty of doing this myself. The thing is when you take up a new hobby, the first thing you want to do is buy all the cool and expensive tools that you can buy. I know it is tempting for you to go out and shop. However, I would strongly suggest you go only for the essentials. I have listed out a few things you should buy when you start off. This is a must. Wear a Helmet no matter where you go riding. It is more about building a habit and discipline. Also, don’t buy a cheap helmet. If you want to save money, save else were. Maybe get a cheaper bicycle or don’t buy other tools for now. But do spend and buy the best helmet out there from a reputable brand. Have a look at my list of Best Cycling Helmets in India. If you are planning to commute on the road, don’t forget to buy eyewear that will cover your entire eye. The glasses should fit well on your face and there should be no air passing by. I would not recommend you using your regular sunglasses, but having something is better than not wearing eye protection at all. You don’t need them if you are only planning to ride your bicycle for a few minutes every day just to maintain your fitness. However, if you are planning to commute, buy some nice padded shorts. This will ensure you do not have a lot of discomfort and pain on your bums. Read my article on Best Cycling Shorts in India for more details. Always remember these rules if you planning on riding at night – Be as visible as you can, the same rule applies to your bicycle too. Use bicycle lights – Here is a list of Best Bicycle Lights in India. If you are just starting out or if planning to take up cycling after a long break, do go out and exert on the very first day. Let your body get used to the entire process. See how well your body responds to a particular route for a week and then take it up a notch. Doing too much, too fast will only cause you injury. Make it a habit to carry a small bag with you. If nothing else, have something to eat. Even something as small as a banana or a protein bar will do. Carry a bottle of water. Drink water every time you take a break. This will keep your body energized and hydrated. Many beginners make this mistake. You bought a bike with tons of gears, you start shifting them even if it not required. Or you use the wrong gear while riding a particular terrain. Gears are built to make your ride more comfortable, so spend some time understanding how they work and how to maximize their benefit. The video below will be helpful to get you started. 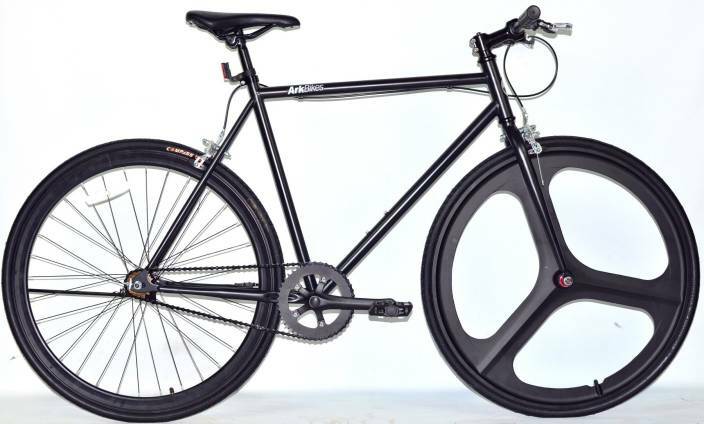 Do Read – List of Best Bicycles with Gears in India. 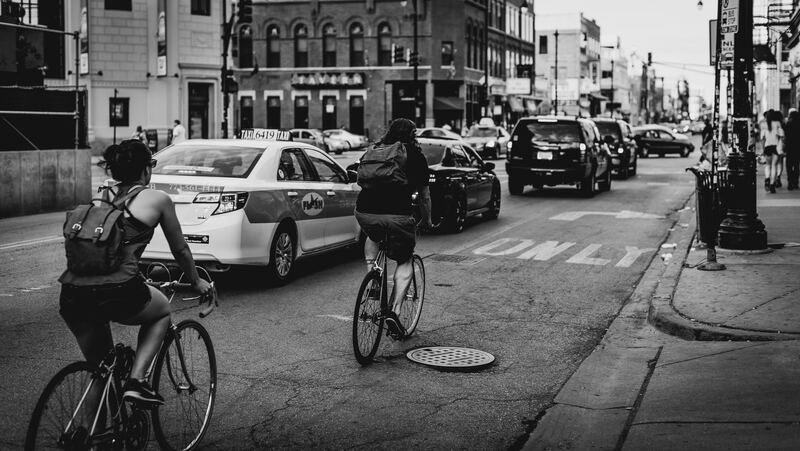 The trick to using the right amount of brake is to concentrate while riding your bicycle. You can easily plan using your brakes as per the terrain, traffic etc well in front of you. This helps you do not have to unnecessarily slow down and burn energy to get back to the speed. Sling bags are the worst possible way to carry your stuff on a bike. There are multiple problems with them. They make you off balance and it difficult to ride your bicycle and have the perfect control over it. Backpacks with good back support are the best option for India. You can use bicycle saddles but I will be wary of theft on the Indian roads. However, I will still repeat. I see a lot of cyclists using earphone while riding. This is dangerous, please don’t do this. You are actually stopping on your most important sensory organ from doing its job. Always be alert and ride safely. I know a couple of friends just wanted to take cycling to work so that they can easily ride on footpaths. I know many of you reading this article might also be doing it. You would argue a lot of people do this (Or break any of the other well-known traffic rules) – However, I will still say it, follow all the rules. Make India a better place to ride/drive one person at a time. Woah! This is way too dangerous. Please don’t do any such activity. It is easy to get carried away by adrenalin. But always remember, you only have one life to live. If you stay in areas which get heavy rains, please do carry some protective gear. Always be careful while riding in waterlogged roads. When in doubt just follow some vehicle’s track at a safe distance. If there is a pothole you will be able to avoid it in time. Do remember, if your bicycle does not have disc brakes, your braking performance will get seriously impacted as soon as the rims get wet. So don’t ride fast. 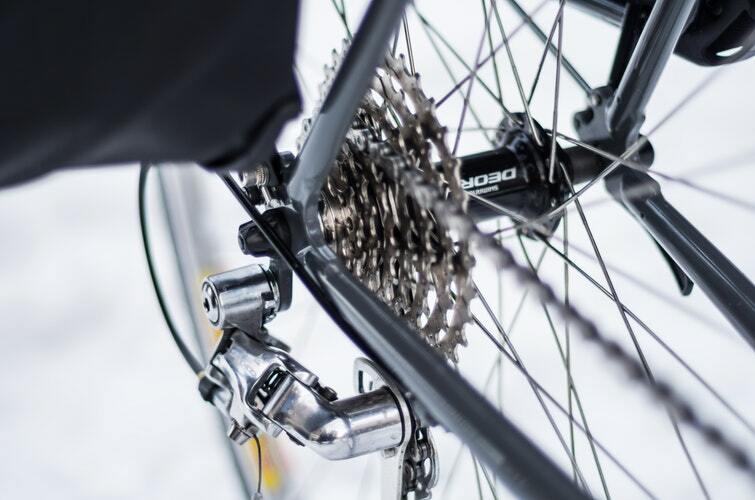 Clean your bicycle regularly and lubricate your sprockets and chain as needed. This will ensure your bicycle serves you well for years. 16. Always carry a toolkit, compact toolkit & spare tubes. These tools will come in handy if you planning a short trip with your friends. If you have the right tools, you can take care of problems like flat tyres in a matter of minutes. I hope this article on Cycling Tips for Beginners in India will help you going forward. If you think of any tip that should be on this list, do leave a comment and I will surely incorporate your feedback into the article. Types of Cycles in India - Which one is right for you? Types of Cycles in India – Which one is right for you? Difference Between Gear Cycle & Gearless Cycle – Which one to buy?